Ever since childhood, we have been urged to eat lots of fruits and vegetables since these are good for our physical health, as claimed by experts and supported by countless studies. And it would now seem that eating these food groups may not only be beneficial for our physical health but also for our mental health, this according to the findings of a recent study that was published in the prestigious medical journal BMJ Open. A team of researchers from the University of Warwick’s Medical School carried out an extensive survey focusing on mental wellbeing based on different variables ranging from demographics, health-related behaviors, and socio-economic factors. Involved in this research work were over 14,000 participants from England who were part of the program Health Survey for England. Respondents were aged 16 years and over with 56 percent composed of women while the remaining 44 percent were men. Assessment of mental wellbeing was made based on the accepted research tool called the Warwick-Edinburg Mental Wellbeing Scale (WEMWBS).Under this scale, the top 15 percent of the participants were classified as having “high mental wellbeing”, the bottom 15 percent as having “low mental wellbeing”, and the middle 16 to 84 percent as having a “middle mental wellbeing”. 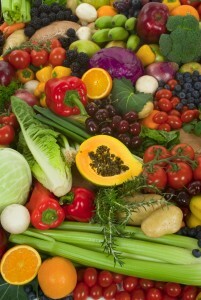 At the conclusion of the study, the team of researchers was able to determine that high and low mental wellbeing were consistently linked to a person’s consumption of fruits and vegetables. This has led them to conclude that eating fruits and vegetables is not only beneficial to physical health but also in the very important area of mental wellbeing. Over a third of the respondents or 33.5 percent of those considered as having high mental wellbeing were reported to consume five or more portions of vegetables and fruits everyday compared to only 6.8 percent who consume less than one portion. A substantially higher 31.4 percent of those considered as having high wellbeing also ate three to four portions of fruits and vegetable while the remaining 28.4 percent ate from one to two portions every day. According to the lead author of the study, these data clearly suggests that the consuming more fruits and vegetables may reduce the risk of having a low mental wellbeing. 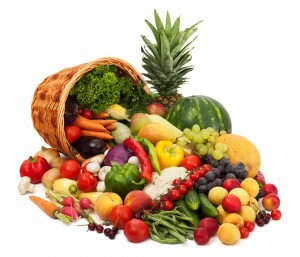 The outcome of this study is very significant since it reinforces the huge benefits provided by fruits and vegetables. The physical health benefits of these foods cannot be questioned at this time and adding mental health as a benefit is more reason to consume fruits and vegetable. More importantly, experts point out that improving mental health would not only be cost-effective to an individual and society but may also help in preventing physical diseases since it has long been shown that certain physical illnesses are closely associated to mental factors.